Military Divorces in Florida: Are You Entitled to Any of Your Military Spouse’s Retirement? The Uniformed Services Former Spouses’ Protection Act (USFSPA) allows Florida courts to distribute military retired pay to a spouse or former spouse and provides a method of enforcing these orders through the Department of Defense. 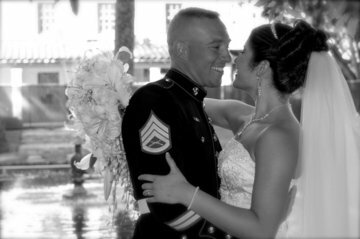 The marriage does not need to have lasted 10 years for the spouse to acquire a share of or interest in the military spouse’s retired pay. However, the military couple must have been married to each other for 10 years or more during which to the military spouse performed at least 10 years of military service creditable towards retirement eligibility (the 10/10 Rule) to receive a direct payment from the DFAS (Defense Finance and Accounting Services). The USFSPA does not automatically entitle a former spouse to a portion of the military spouse’s retired pay. A former spouse must have been awarded a portion of the military spouse’s retired pay as property in their final court order (which can be a final decree of divorce, dissolution, annulment, and legal separation, and court-ordered property settlements incident to such decrees). 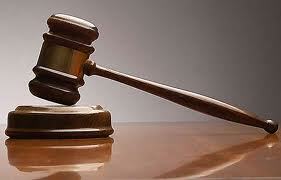 The USFSPA also provides a method of enforcing alimony and child support arrears awarded in the court order. See 10 U.S.C. § 1408. Section 1408(h) of the USFSPA provides benefits to a former spouse of a member who, as a result of the abuse of a spouse or dependent child, loses the right to retired pay after becoming retirement-eligible due to years of service. A former spouse may enforce an order dividing retired pay as property under this Section if the special requirements of Section 1408(h) are satisfied in addition to all the regular requirements of the USFSPA. The right to payments under this Section terminates upon the remarriage of the former spouse, or upon the death of either party. Section 1408(h) also provides for the enforcement of a court order awarding child support to a member’s dependent child, where the dependent child’s other parent died as a result of the member’s misconduct. A property award of retired pay must be expressed as a fixed dollar amount or a percentage of disposable retired pay (gross retired pay less allowable deductions). If the parties are divorced while the member is still on active duty, the former spouse’s award may be expressed by an acceptable formula or hypothetical retired pay award. An award of a percentage of a member’s retired pay is automatically construed under the USFSPA as a percentage of disposable retired pay. A Qualified Domestic Relations Order is not required to divide retired pay as long as the former spouse’s award is set forth in the pertinent court order. The National Defense Authorization Act (NDAA) of 2017, in Section 641, signed by the President on December 23, 2016, amended the definition of disposable pay in the USFSPA, 10 U.S.C. § 1408. For Divorces entered after December 23, 2016, (in a case where the order becomes final prior to the member’s retirement) the military member’s disposable income is limited to “the amount of basic pay payable to the member for the member’s pay grade and years of service at the time of the court order” and increased by the cost-of-living amounts granted to military retirees from the time of the divorce to the date the member retires. Trusts have long been a tool used in asset protection and estate planning to protect property and income. But what if a person seeks to use a trust as a shield to protect a trust beneficiary from making support payments in family law cases? The answer is not necessarily straight forward, but depends on the circumstances and the terms of the trust. However, Florida trust law makes it possible for a trust to be used to provide support to a trust beneficiary’s dependents. This is limited to child support or spousal support and is only considered when there are no other alternatives to receiving the support that is sought. The person seeking to attach a trust’s distributions to a beneficiary must demonstrate to the court that certain factors are present that justify going after the trust. A trust’s spendthrift provision will not defeat a garnishment for support of a dependent. Recently, the 2nd District Court of Appeals, in Berlinger v. Casselberry, upheld a trial court’s order issuing a continuing writ of garnishment against any future disbursements from a trust for the ex-husband’s benefit after the ex-wife filed a motion for contempt and requested a writ of garnishment. 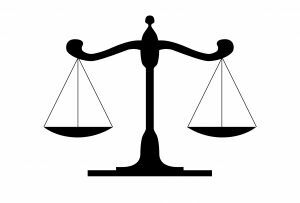 In this case, the ex-husband was ordered to pay a substantial amount of alimony per month. The ex-husband stopped making the alimony payments, but lived a lavish lifestyle with his new wife. The couple lived off a trust set up for the benefit of the ex-husband, who had attempted to hide the trust. After the ex-wife discovered the trust, she requested the writ of garnishment, which the court granted. 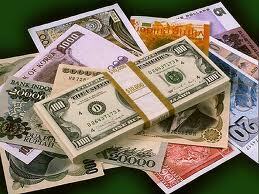 The State of Florida holds spendthrift provisions in high regard and will respect them, generally. However, the State’s policy as it relates to a person’s obligation to support his or her dependents is of higher interest to the State of Florida. For more information on trusts or family law issues, contact the Law Office of David M. Goldman, PPLC. Initial consultations are free. No matter what you pay your family law attorney, you are going to give something to your spouse when the marriage is over. You may want revenge but that rarely happens in a divorce. Things said when you are angry will later be taken back, especially when the client receives my final bill for their act of “revenge.” Wouldn’t you rather spend your money on your children’s education than on legal fees? A client walked into Apple six months ago, trying to get his alimony modified. He was not sure about hiring an attorney because he felt his previous attorney was a tiger in his office but a wallflower in Court. We finally asked us him to let us try to solve his family law problem and made a commitment to treat him like our most important client. His reluctance gave way to confidence in our firm and he hired us. •	The party asking for a modification must demonstrate a material change in circumstances. That means things have drastically changed for one party for the better or the worse. Sickness or long-term loss of employment can be examples of such material changes. When deciding whether to grant alimony in a divorce case, courts in Jacksonville, Florida consider many factors, including the length of the marriage, the spouses’ employment prospects, the age of each party, their standard of living, their marital contributions, their available income and assets, and the fairness of the situation. Generally, the shorter you’ve been married, the less likely you will be awarded alimony. Similarly, age is important. If one of the spouses is about to retire, alimony might be more likely. Jacksonville, Florida courts also consider marital contributions. You might complain that your spouse watched TV all day for twelve years while you worked fifty hours a week. You might think this means your spouse should not be entitled to alimony; however, the court will likely not consider this in granting alimony. Similarly, if your spouse ran up huge credit card debt, he or she may still be entitled to alimony. The court might look more favorably to you, however, if those debts were ran up without your knowledge. When deciding whether to grant alimony in a divorce case, courts in Yulee, Florida consider many factors, including the length of the marriage, the spouses’ employment prospects, the age of each party, their standard of living, their marital contributions, their available income and assets, and the fairness of the situation. As a Yulee Divorce Lawyer I know Yulee, Florida courts also consider marital contributions. You might complain that your spouse watched TV all day for twelve years while you worked fifty hours a week. You might think this means your spouse should not be entitled to alimony; however, the court will likely not consider this in granting alimony. Similarly, if your spouse ran up huge credit card debt, he or she may still be entitled to alimony. The court might look more favorably to you, however, if those debts were ran up without your knowledge. Recent reports are suggesting that NBA Hall of Famer, Dennis Rodman, may be facing up to 20 days in jail for failure to pay his ex wife court ordered child support and spousal support. Michelle Rodman is claiming that the Hall of Famer owes $51,441 in back spousal support and $808,935 in back child support for the parties’ 9 and 10 year old children. Michelle Rodman is also seeking attorney’s fees for having to bring a court action against the Hall of Famer. However, the former NBA star’s attorney is arguing Rodman is sick and broke and has no ability to pay the large amounts of child support and spousal support. 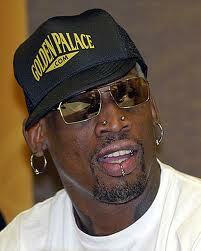 As a Child Support Attorney I see cases similar to Rodman’s all the time. Although, many cases do not involve back child support and spousal support in the amounts claimed above. In Ponte Vedra, Florida Judges take non-payment of child support very seriously. However, these Ponte Vedra Judges are restrained by the law and can only order jail time in very limited circumstances. For instance, to put a non-paying parent in jail a Ponte Vedra Judge must:(1) find that the parent is willfully failing to pay the ordered child support amounts, (2) make the affirmative finding that the non-paying parent possesses the ability to comply with the purge amount and (3) put the above two requirements in a written order. 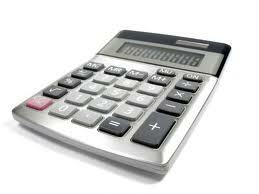 How Much Alimony should I Get?